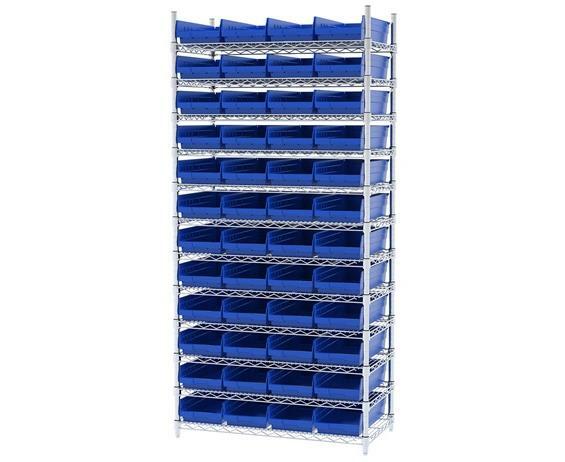 Available with 12 shelves to efficiently accommodate small parts. 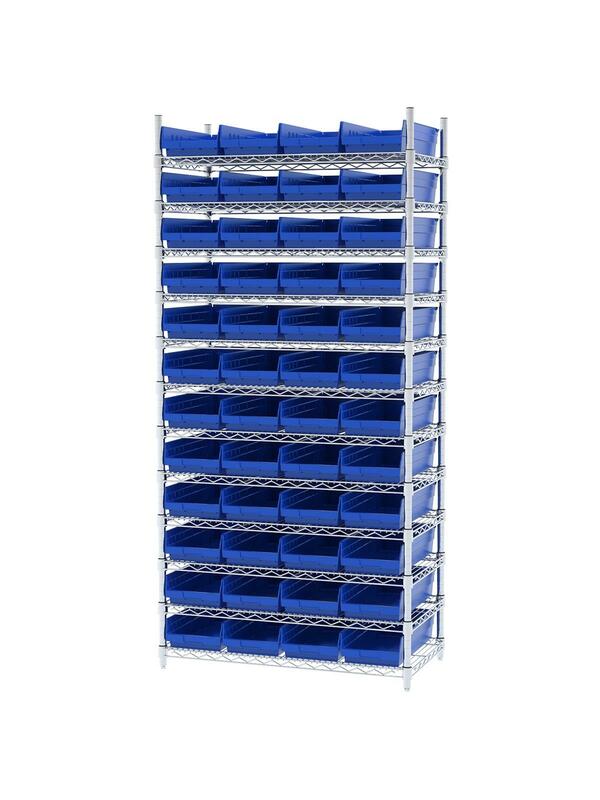 Shelf Bin Wire Systems can be configured for use with 36, 48, 60 or 96 bins providing a versatile system for storage and material handling. 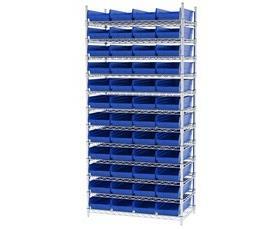 Durable and strong polypropylene shelf bins outlast corrugated bins. Bins available in Blue, Red, or Yellow. FOB Shipping Point. 17-7/8 x 8-3/8 x 4"17-7/8 8-3/8 4"